The new Shimano Europe headquarters completed! 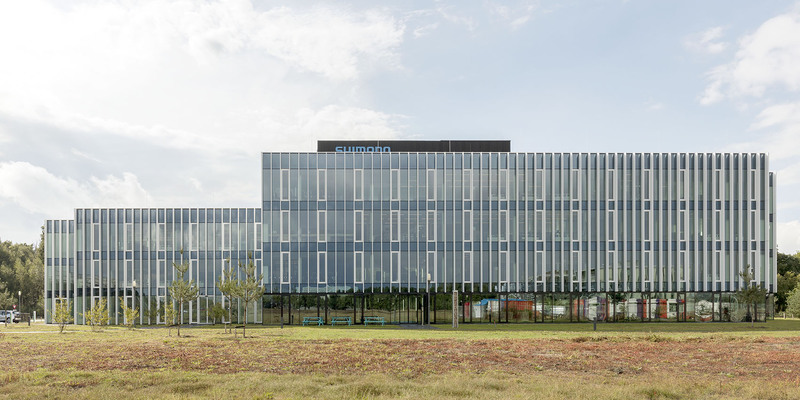 The new high tech office building of Shimano has been recently completed in Eindhoven. It consists of three shifted rectangular volumes that are connected by the void of central atrium. The ribbed facade protects the office space from excessive direct sunlight and represents the high tech spirit of the company. Durability and performance are the key features of the project.